Chair of the USEF Dressage Sport Committee Rules Working Group, Janine Malone joins us to discuss the proposed rule changes that could affect dressage riders and judges and 2018 Adequan®/USDF FEI-Level Trainers Conference presenter Johann Hinnemann shares his theory on training. Janine Malone, Zebulon, NC, is a USEF Registered Dressage Judge and Technical Delegate, FEI Level 3 Steward, and member of multiple committees, including the USDF Sport Horse Committee, the USEF Licensed Officials Task Force and Competition Management Committees. This week Missy Ransehousen joins us to recap the 2016 Rio Paralympics. 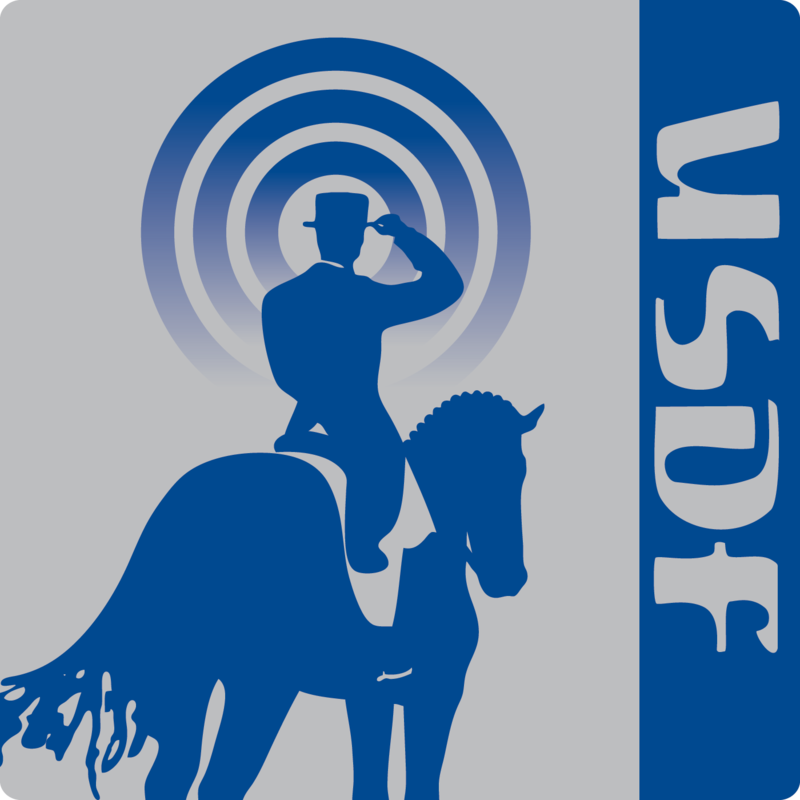 We have an interview with Yvonne Barteau, author of The Dressage Horse Manifesto, and an excerpt from the 2015 USDF Sport Horse Prospect Development Forum featuring Scott Hassler and Willy Arts. Missy Ransehousen, Unionville, PA, operates Blue Hill Farm with her mother well known Olympic rider Jessica Ransehousen. Missy has made her own mark on the equestrian world being named 2011 USEF Para Coach of the year. Missy was selected as the coach for the 2000 Paralympics Team in Sydney and also coached the US Para Team to first place at the Pacific Rim Championships in 2006, and has served as Paralympics' coach in 2000, 2004,2008 & 2012. Yvonne Barteau, Maple Park, IL, is a lifetime equestrian who has dedicated her life to understanding horses and preparing them for their careers. Yvonne has trained over ten horses to the Grand Prix Level. She and her husband Kim operate KYB Dressage LLC based out of Grand Prix Equestrian a state of the art dressage facility located approximately 50 miles west of Chicago. Yvonne has authored several books, including Ride the Right Horse, The Dressage Horse Manifesto, The Spirit of the Horse, and All the Kings Horsemen. This week in our American Dressage Legends series we hear about 2007 Roemer Foundation/USDF Hall of Fame inductee Edgar Hotz and USEF "S" Dressage Judge Kathy Rowse joins us to talk about using cones to improve your accuracy when riding. Kathy Rowse, Suffolk, VA, owns and operates Silverleaf Farm with her husband Mike. Kathy is a USEF “S” dressage Judge, USDF L Program faculty member, and member of the USEF Youth Committee. She is a USDF Gold, Silver, and Bronze medalist who has coached numerous students to their USDF medals. In this special episode, get to know Olympic athlete Laura Graves and Paralympic athlete Rebecca Hart. Laura Graves, Geneva,FL, abandoned her career as a hairstylist to turn her unruly horse, Verdades, known as Diddy, into a dressage superstar. Chosen as a foal by her mother from a video, Graves advanced him up the levels herself with the guidance of several top trainers. Together Laura and Verdades won Team Gold and Individual Silver medals at the Pan American Games. Since then they have placed in the top FEI competitions and will be an exciting pair to watch. Rebecca Hart, Unionville, PA, has represented the U.S. at several international events, including the 2014 Alltech FEI World Equestrian Games and the 2008 and 2012 Paralympic Games. In 2014, she paired with her new mount, Schroeters Romani. They placed seventh in each of their three tests at the 2014 Alltech FEI World Equestrian Games and won back-to-back USEF Para-Equestrian Dressage National Championships in 2014 and 2015. Hart is a seven-time USEF Para-Equestrian Dressage National Champion. DavidSchmutz of Glendale, CA is an FEI 4* Para Dressage Judge, and USEF Senior(‘S’) Dressage Judge and serves on the USDF Judges Committee. Jeremy Steinberg of Solana Beach, CA is a trainer, coach and clinician. He has competed horses through Grand Prix and served as USEF Dressage Youth Coach from 2010 to 2014.